How did you spend your Sunday morning last weekend? Did you catch up on a little sleep? Mow the lawn? Take the dog for a walk, maybe? Not me. 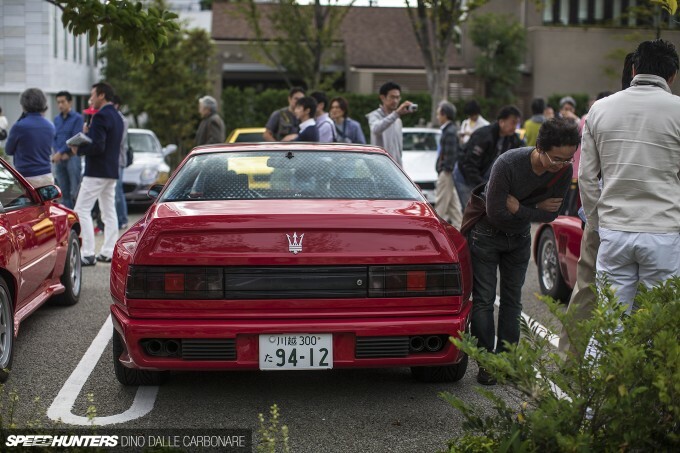 I got up at 6:00am with a big grin on my face, finally I’d be able to make Cars & Coffee in central Tokyo – a meet I hadn’t been able to revisit since March. As I cruised through the empty streets of the capital for the 10-minute drive to my destination I felt very content. You see, just a few days prior I had finally awoken my GT-R from its seven-month hibernation, taken it for its shaken test and passed, and the following day even sorted out a misfiring issue I’d been having earlier in the year. 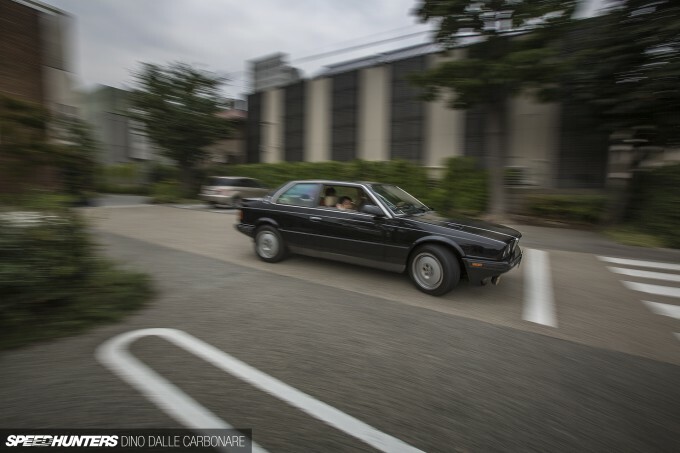 But I’ll tell you all about my joy of hearing that familiar six-cylinder sound once again in another post coming up next week – right now it’s time for some caffeine… and cars. 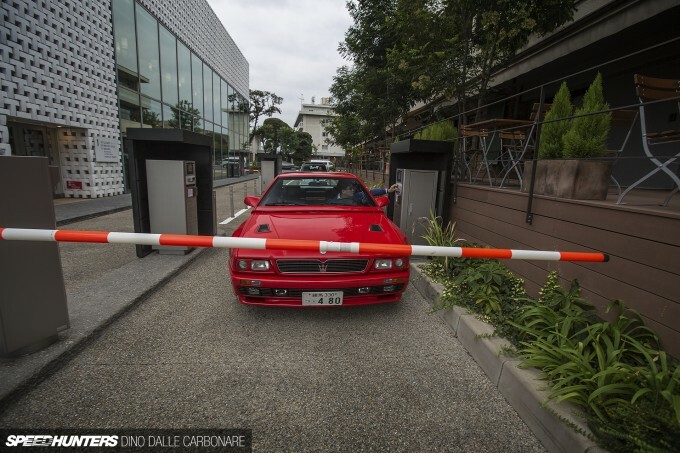 As I arrived I noticed that there were already a bunch of interesting cars parked on the street outside Daikanyama’s iconic T-Site retail complex. Nothing crazy, but the sort of cars you don’t see everyday in Japan. The most curious was the blue Fiat 128 pictured above, which I’m sure I have seen at this meet once before. T-Site is always buzzing with people throughout the day, every day, so seeing it so empty and quiet is always quite amusing. By 6:45am cars started arriving, driving down the access road that takes you towards the parking area where the meeting is held. Two hours is all the event gets, but it’s plenty of time to get your car-related fix for the week and chat with like-minded people. The great thing is that parking is free here up until 9:00am, provided you get your ticket validated at the automotive counter inside the T-Site bookstore. Once I had a spot for my GT-R assigned I parked up, jumped out and watched the cars slowly arrive. It’s always enjoyable to see the variety of cars that this gathering attracts. 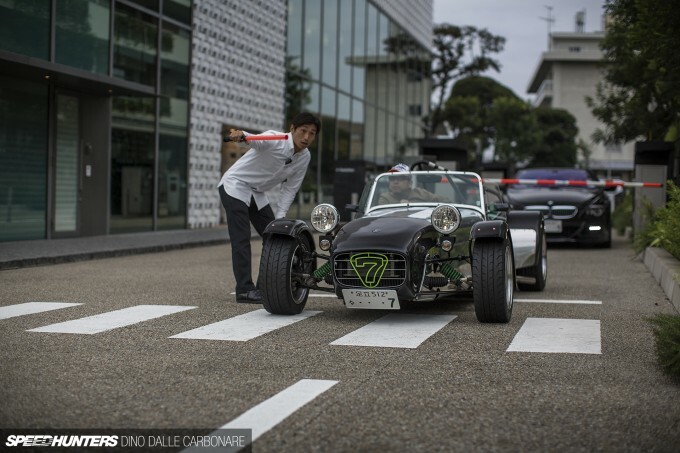 The Caterham brand is always well represented at Cars & Coffee Tokyo, and it’s not hard to understand why. 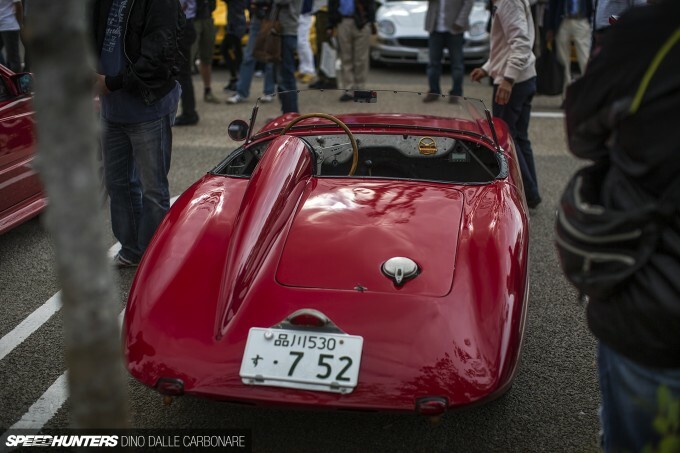 The Japanese love these things – something you quickly realise if you take a weekend excursion through the mountain roads that surround Fuji, or any track day event. 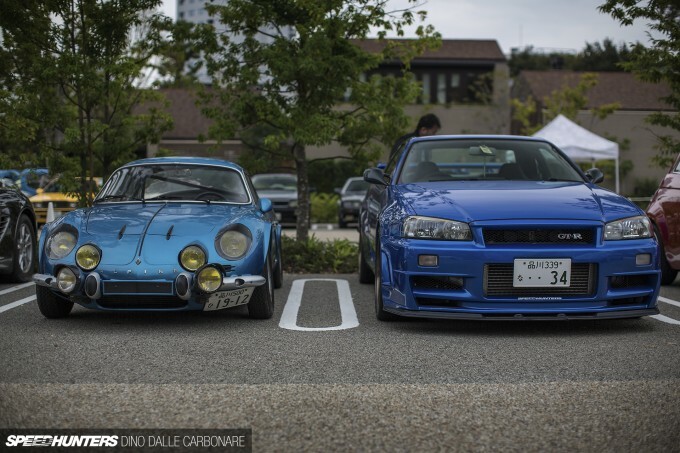 I thought it was really funny how tiny the GT-R made the little Alpine A110 next to it look. Two very different cars – as different as they get in fact – from very different times, but both a ton of fun to drive. The question is, which one suits your tastes more? 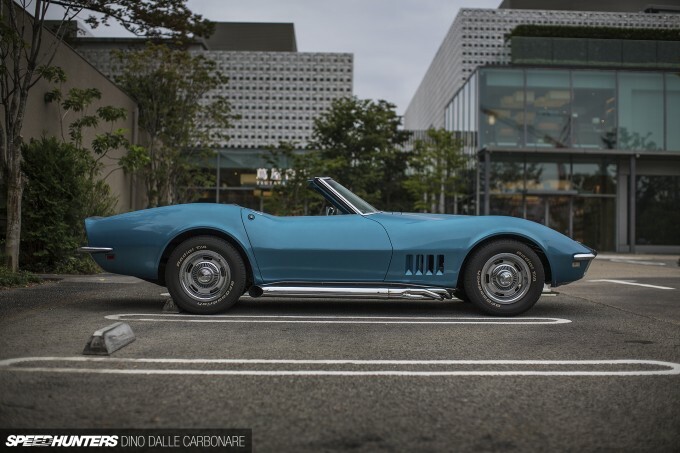 At the far corner of the parking lot I spotted this Corvette sitting all by its beautiful self – a stunning and very well cared for example. 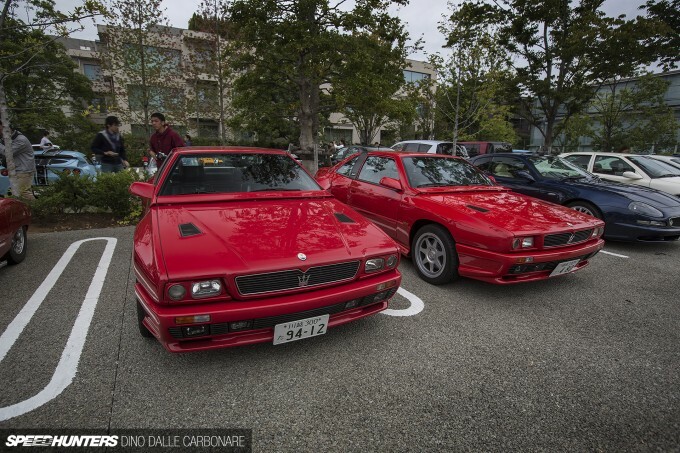 But it was the Maseratis that everyone was waiting for. 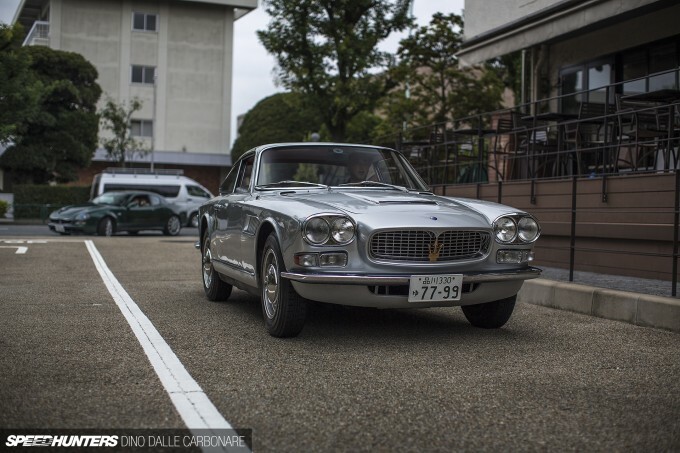 You see, every one of these meetings in Daikanyama is given a theme, and while the last one I attended in March was ‘Blue Cars’, this time round it was Maserati. It was a fitting theme too, as this year marks the 100th anniversary for the Italian manufacturer. 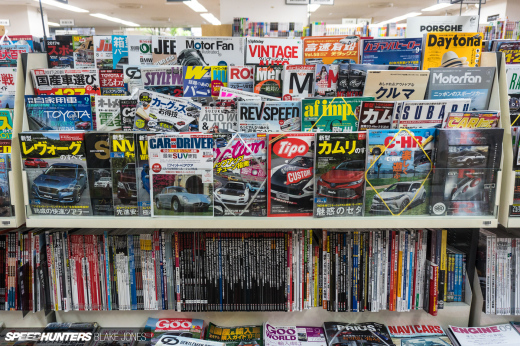 There were quite a few surprises, but then again, you don’t need to spend too long in this country to understand that the Japanese are very car crazy, and that some of the world’s rarest and most incredible cars can be found in private collections up and down Japan. This Sebring looked phenomenal. The Michelotto-Vignale design has such a strange stance; tall and flat flanks but very short glasshouse and massive wheels and tyres to fill up the arches. Even at idle, the 3.5L straight six sounded so creamy. 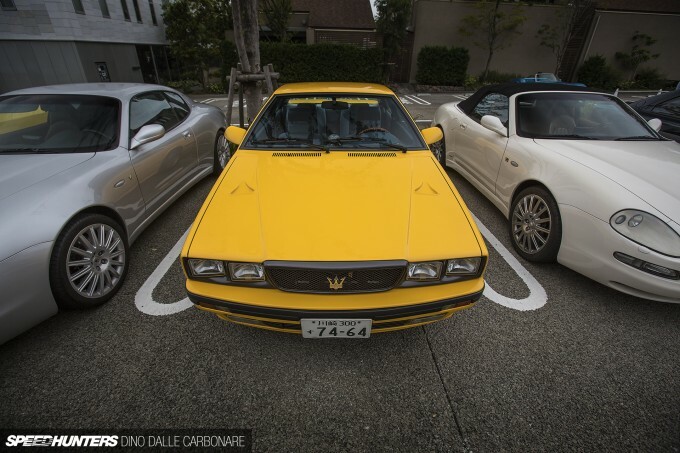 Less than 400 Shamals were built in the early to mid ’90s, and despite not being one of the most eye-catching cars from the Maserati brand, its Bertone/Gandini design language is unmistakable. 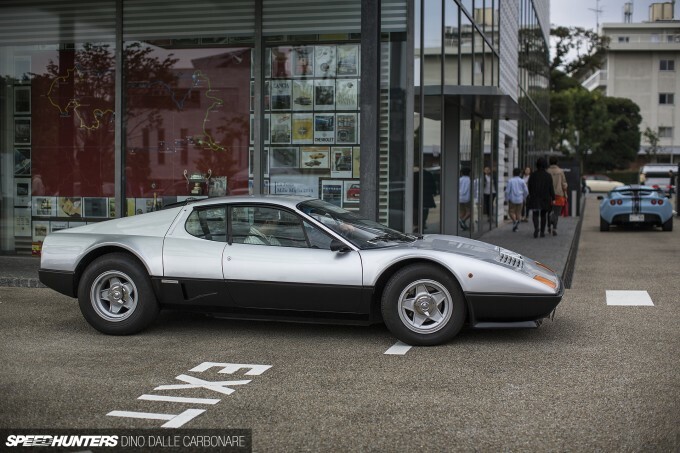 It’s a car that certainly stands out from the crowd. There was not one, but two of these twin turbo V8 beasts in attendance as well. A string of Biturbos slowly arrived throughout the morning too. This is one car that I have special memories of as it was the very first turbocharged vehicle I ever rode in when I was a kid in the ’80s. I guess I was hooked on boost from then on! Despite the reliability problems these cars suffered from, I always found them to be quite attractive. Mechanically, they are quite interesting too – this 222SE for example sporting a 1,995cc V6 twin turbo engine. 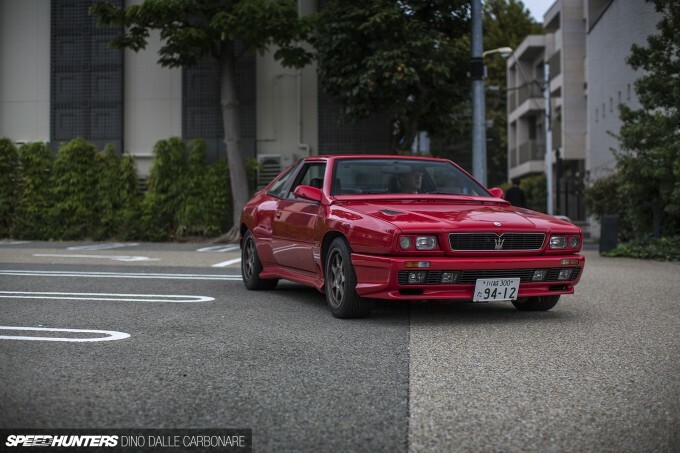 The Merak comes from an interesting era in Maserati’s history when it was partly owned by Citröen. That’s why the car boasts some Citröen parts in the interior and hydraulic suspension, which is shared with the SM. Despite not quite being the much more desirable V8 Bora, it’s still quite the looker. 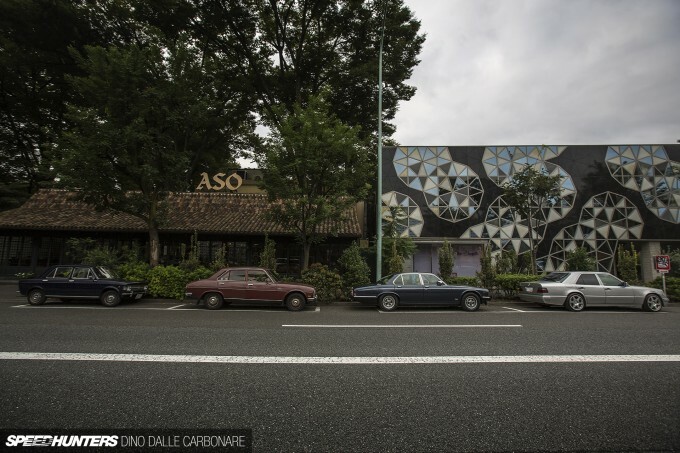 The tiny car next to it is an OSCA – the company that the Maserati brothers set up after leaving the marque that bears their name. A superb addition to the Maserati theme meeting! And here are those two Shamals sitting right next to each other! 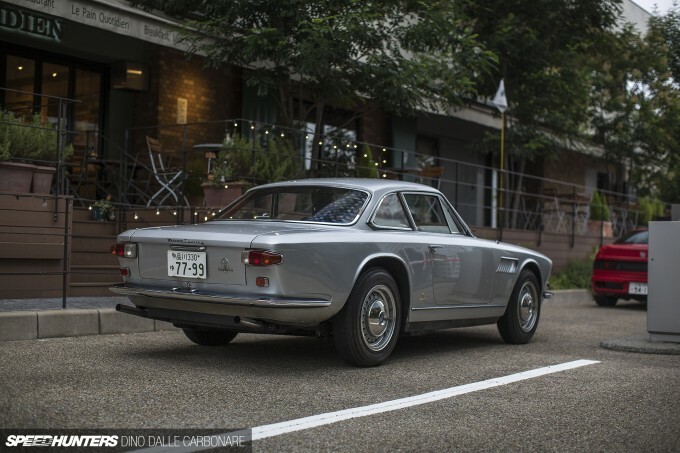 The rear end of these cars has to be the best angle – their wideness setting them apart from the V6-powered Maseratis of the same era. The selection of Maseratis just kept getting better, and I had to run to get a few shots of this Ghibli as it drove in. While I’ve seen a few convertible versions of this V8-powered coupe, I’m pretty sure this was the first time I have come across one with a proper roof. One of the prettiest cars ever! It certainly wasn’t the noise of this MC12 that made half of the people in the carpark sprint towards the entrance when it rolled in. After shooting the Corsa version of the car in Fuji a few year back, I couldn’t believe how quiet the road-going variant is. But what it lacked in the aural department it more than made up for in looks. Only 50 of these road legal cars were built to satisfy race homologation into the FIA GT1 class, with a further 12 Corsas being produced at the end of the production run. While the organizers of the gathering put on a little talk show, I quickly headed to check out this TVR Tuscan that had joined the fun. 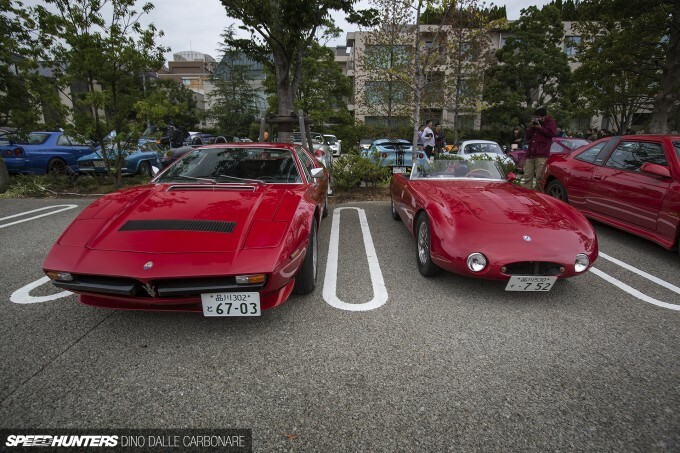 These are pretty rare cars – and even more so in Japan – but I ended up seeing another three in the next couple of days around Tokyo. 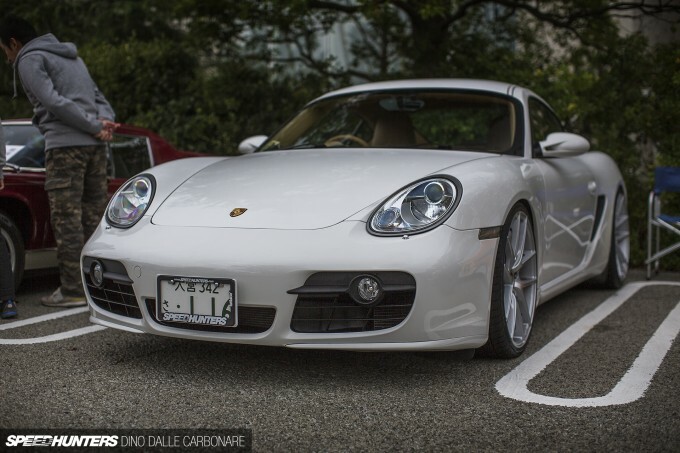 It’s always great to see people giving Speedhunters some love, like this slammed Porsche Cayman running one of our old SH x Fatlace license plate frames. If the Caterhams and TVRs weren’t enough we had another quick visit from a small British manufacturer before the meeting came to an end. This time it was a tiny little Ginetta. 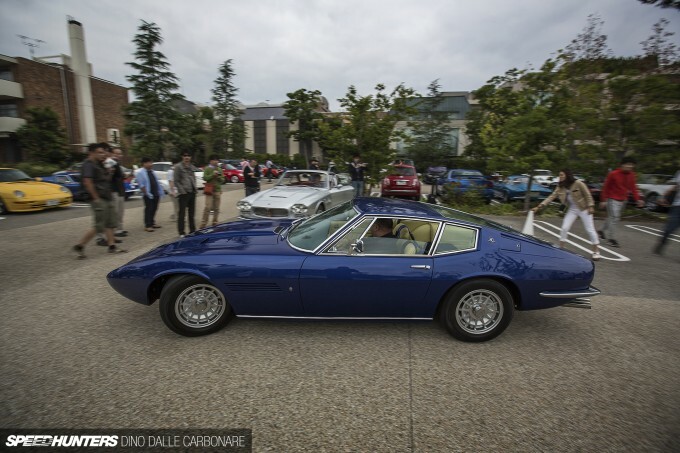 With a great turn out of Maserati enthusiasts helping make this particular Sunday morning all the more special, the theme proved to be a great success. This gathering is always such a welcome change of scenery from JDM meets and Japanese car culture related events that we usually find ourselves at. Pic is great BTW, directly as a wallpaper ! The Ginetta is the one that stands out for me. I've always liked the look of the little Ginettas and wondered what they'd look like with a slightly wider stance and chunky tyres. Now I know and the answer is.. Awesome! Dino.. This is just great! I can immagine what atmosphere this had been! And.. 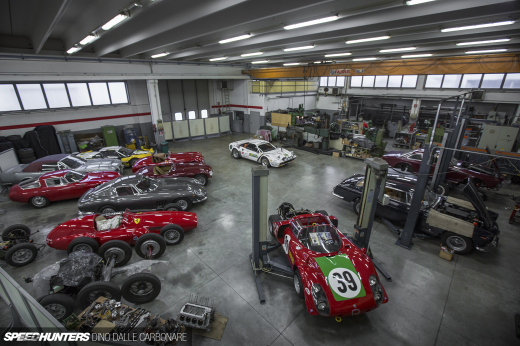 I can be very happy and proud, that i could work on 1 of these 50 MC12 Stradales... This is by far, one of the most beautiful cars in the world, that i've ever seen! This car is aerodynamicly so refined, you have the impression of lookng at an aeroplane! Thumbs up, good article! 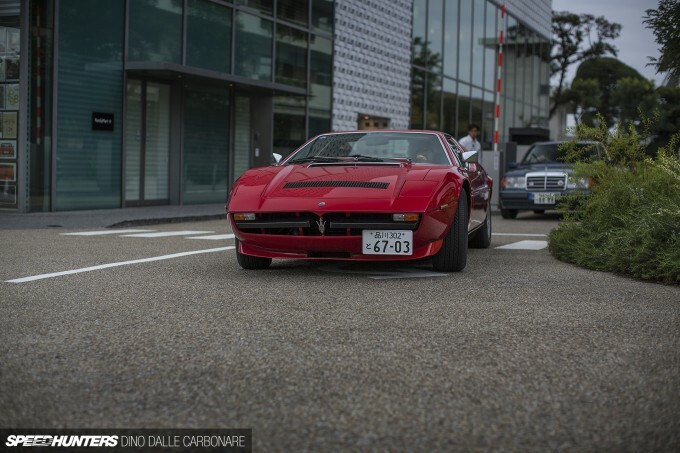 I love these Cars and Coffee meets, i cant wait until it takes off in the UK! I both fangirled and spit-took when I saw the Alpine next to your GT-R, never really thought about how small that thing is! Second pic down from the top. Right side, there is a what looks like a creme yellow T5-R wagon. If so, thats a really badass, random cameo haha. These kinds of posts are why I keep coming back to SH. I can't get over how long MC12s are! 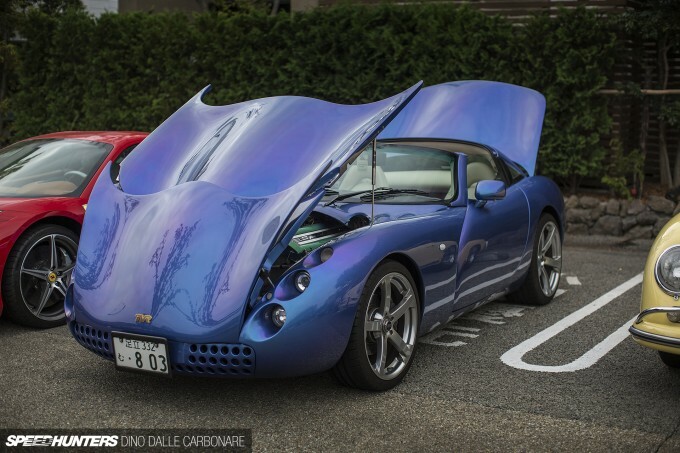 I like how the Ginettas wheel arches mould into canards, lovely little detail. Bryn totally agree as soon as I saw the Red Ginetta G12 - I love these cars they are totally awesome! 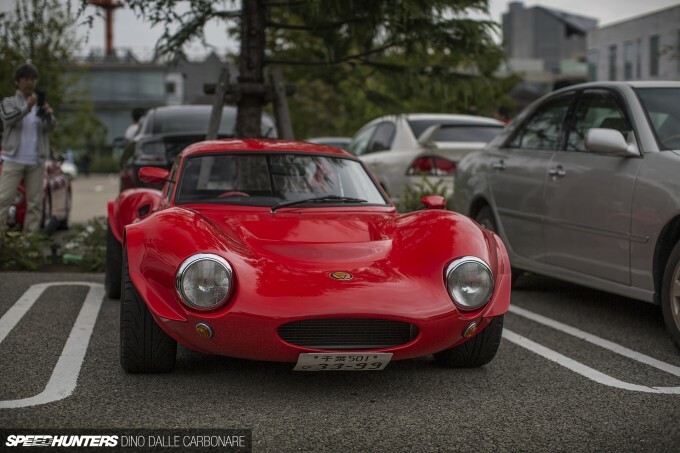 One thing I will never understand is why japanese people like so much tiny old italian citycars, like the pandas from the other cars and coffee post and the 128 in this one... I mean they are not expensive at all here in Italy but i can imagine how difficult and expensive is to get that kind of car in Japan. 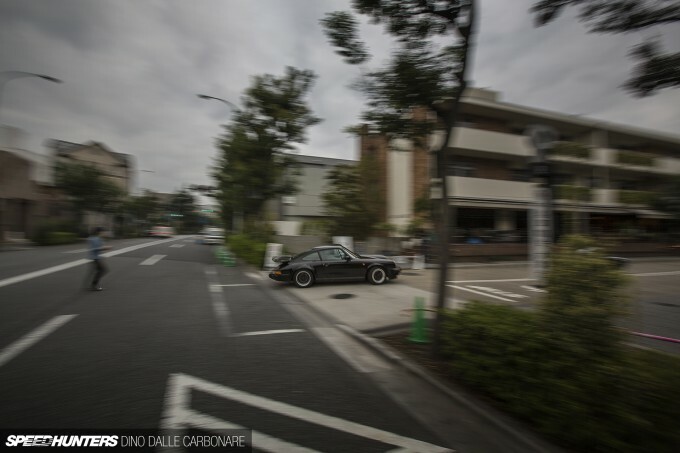 I know that this love for everything uncommon is what makes japan such an interesting country for a car guy... but spending a lot for an old panda is still pretty crazy to me. 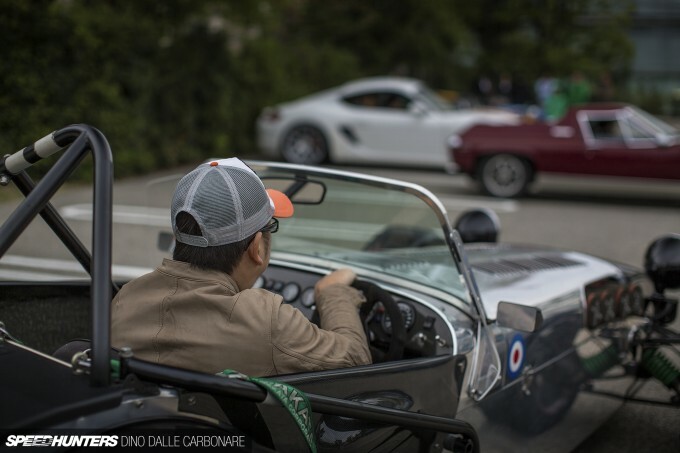 Is that a Europa hiding behind the silver caterham? God I love T-site. Gotta go back there next month. maxvr6 Every city should have one! importfan Yes it still baffles me too! sean klingelhoefer Yep awesome hang out! 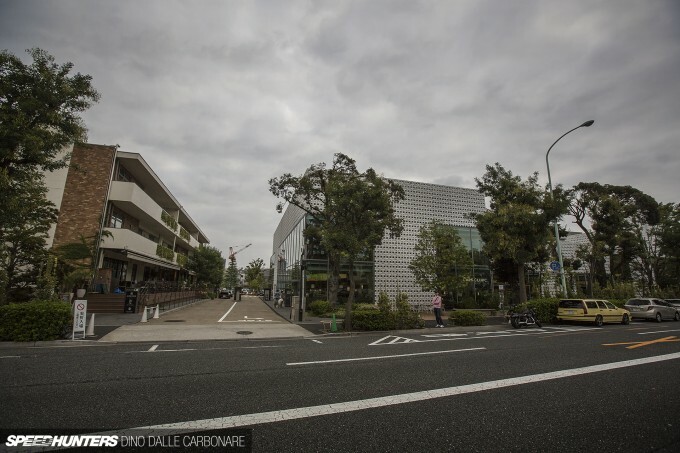 Hey, second pic first page, do I see a Volvo T5-R wagon, in Japan!? Volvos roadgoing version of the famous BTCC racing car wagon? 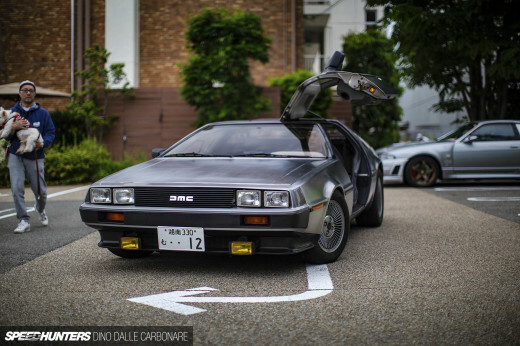 speedhunters_dino Ahaa, then it make sense. They are REALLY starting to become a rare sight, even here in Sweden. Btw, i appreciate your work Dino! Hi, how often is something goin on Sunday morning? I want to visit there with my boyfriend but I would hate to spend an hour traveling there for no reason. I would go at night but public transit stops and I don't want to be stranded. Please email me at msaelim@live.com Thank you!